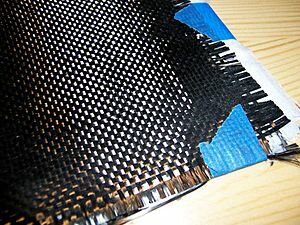 Composite materials are made from two or more basic material mixed together. The materials can be natural or not, and keep their separate properties when mixed together. However, the composite material as a whole may behave differently from either of its parts. For example, reinforced concrete (made of concrete and steel) has resistance to pressure and to bending forces. Bullet-proof glass (made of glass and plastic) is more resistant to impact than either glass or plastic on their own. Concrete itself is a composite material, one of the oldest man-made composites, used more than any other man-made material in the world. 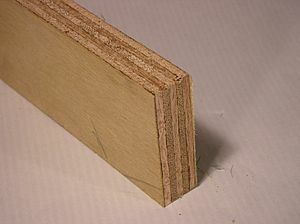 Wood is a natural composite of cellulose fibres in a matrix of lignin. The earliest man-made composite materials were straw and mud combined to form bricks for building construction. This ancient brick-making process was documented by Egyptian tomb paintings. Fibre-reinforced polymers are in wide use today, as is glass-reinforced plastic. The most primitive composite materials were straw and mud in the form of bricks for building construction. The Biblical book of Exodus tells of the Israelites that were oppressed by Pharaoh and forced to make "bricks without straw". Today we use shower stalls and bath tubs made of fiberglass, a type of composite. Composite material Facts for Kids. Kiddle Encyclopedia.